Sayuri’s story captivated me. There was something special about the writing style in that I felt every emotion. Moreover, there are an abundant of lyrically captivating paragraphs illustrating a rich environment and lifestyle so different from that of the Western World. Honestly, I knew nothing about life as a Geisha going into this book, so I wasn’t prepared for certain events which appeared throughout. However, I’ve learned a lot, particularly about Japanese culture in the early-mid 20th century. This isn’t an easy read and it requires patience to finish. I spent more time with this book than most; it’s not a fast-paced book. However, the writing style is what makes this book so special. Golden managed to make appalling events in the Geishas’ lives palpable for the reader through his elegant storytelling. 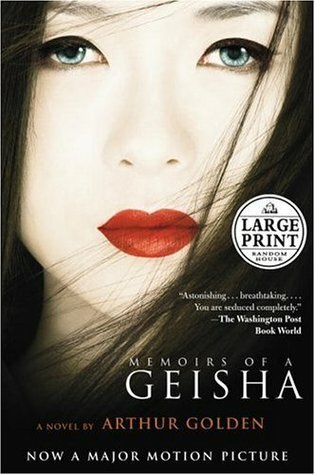 Overall, although slow-paced, Memoirs of a Geisha is a poignant and unforgettable story.